Mr. Archer spent five years in the teaching service, qualifying as a trained teacher during that period. He joined the Royal Barbados Police Force in 1977 and retired after 34 years’ service in October 2011 in the rank of Senior Superintendent. A significant portion of Mr. Archer’s service was spent in the Intelligence field; he is a former Head of Special Branch, the Force’s Intelligence Division. He has received extensive training in the United States of America, United Kingdom and the Caribbean, and is a graduate of Bramshill Police College in the U.K. In the rank of Senior Superintendent, Mr. Archer commanded the Southern, Northern and Operational Support Divisions of the Force respectively. He was also required to act on several occasions in the position of Assistant Commissioner in the Force’s Headquarters. 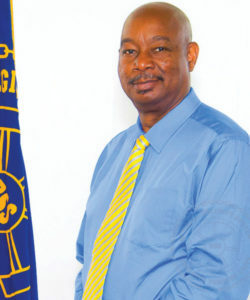 He has also served in the Barbados Prison Service on two separate occasions on secondment. During the period 2001 – 2003, Mr. Archer was attached to the Prison Service as Assistant Superintendent (Deputy Head) as part of a transition leadership team to formulate and implement new strategies and programmes for the Prison Service. Again in the period 2005–2008, Mr. Archer returned to the Prison Service after prisoners burnt the existing prison and had to be housed in an improvised facility until a new prison was constructed. Mr. Archer is a graduate of the University of the West Indies. He holds a Bachelor of Arts Degree in History and Political Science and an Executive Diploma in Management (Human Resource Concentration). He is also a graduate of the Caribbean Leadership Project’s (CLP) Leadership Development Programme. He has a passion for photography and sports.